Major mortgage broking franchise Aussie Home Loans expects to generate in excess of an additional $300m in home loan settlements for the 2017 financial year after increasing its retail presence in Queensland. The 2015/16 financial year saw Aussie open eight new stores across Queensland to bring its total to number of store in the state to 45, with the franchise planning to open more new locations within the next 12 months. Aussie now employs more than 120 staff across Queensland and the Northern Territory and has more than 200 stores across Australia. Aussie chief executive James Symond said strengthening Aussie’s presence in Queensland is key part of the company’s plan for growth and that it has identified key locations it plans to move into. 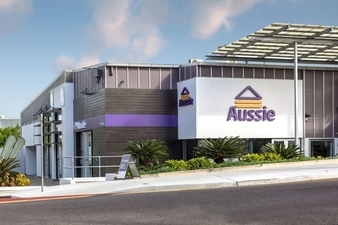 “We are building momentum in the Queensland market and crucial to our expansion is a strong retail presence with our Aussie stores,” Symond said. “The key to our growth in the state is having a strong retail footprint in high profile locations, with our focus for growth in the new financial year to be Noosa, Kawana and Buderim, while we are looking to expand our presence in Cairns, Brisbane, Toowong and Oxley,” he said. Across FY2016, Aussie settled a total of $22bn worth of home loans, with $3.61bn worth of that coming from customers in Queensland and the Northern Territory. Aussie expects that figure to be closer to $4bn over FY2017, with the Queensland expansion expected to result in an additional $320m worth of settlements. “Our retail channel continues to be a standout performer and we have very high expectations that the Queensland stores will be a key driver in our continued growth over the next year,” Symond said. Aussie’s commitment to expanding through Queensland in the coming year will likely coincide with the rollout of its new $25m marketing campaign, which will resurrect its iconic “We’ll save you” slogan and aim to demystify the role of brokers.